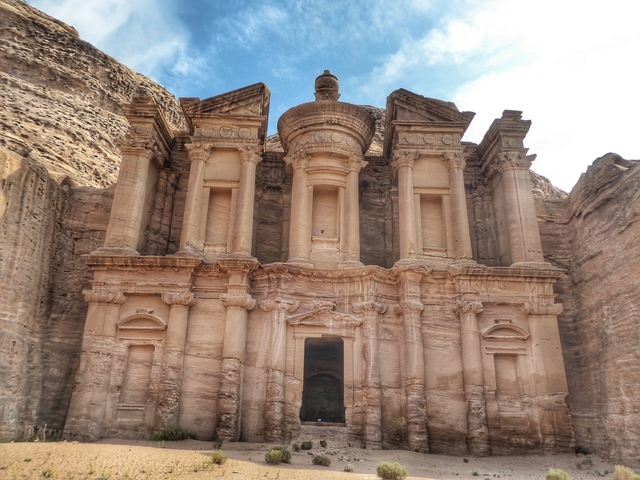 The World Heritage city of Petra, capital of the Nabataean Arabs from the 1st century BC is one of the world’s most famous archaeological sites. 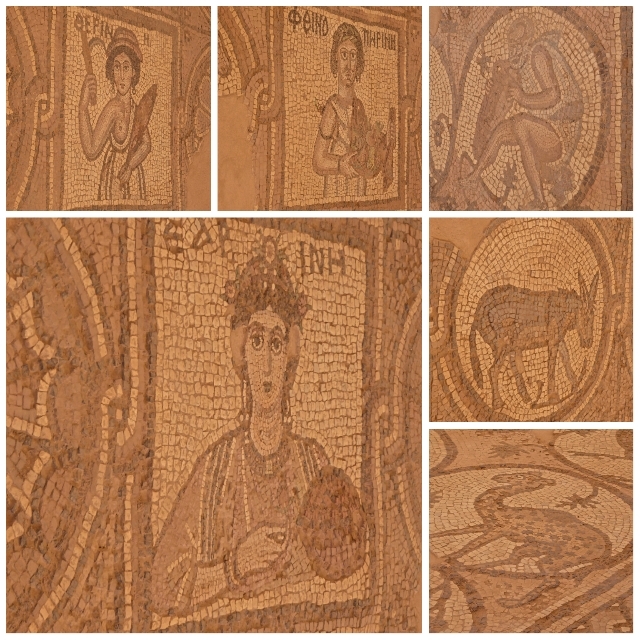 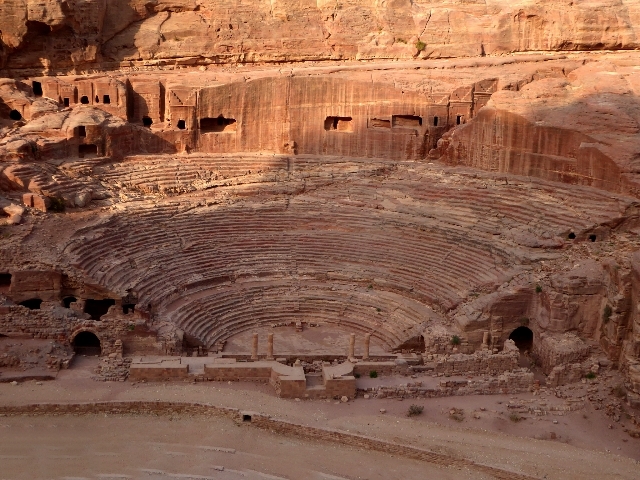 It was later annexed by the Romans until an earthquake destroyed much of the city in the 4th century. 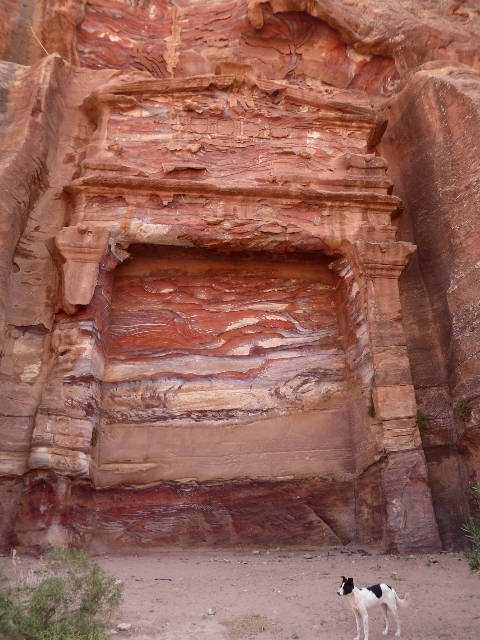 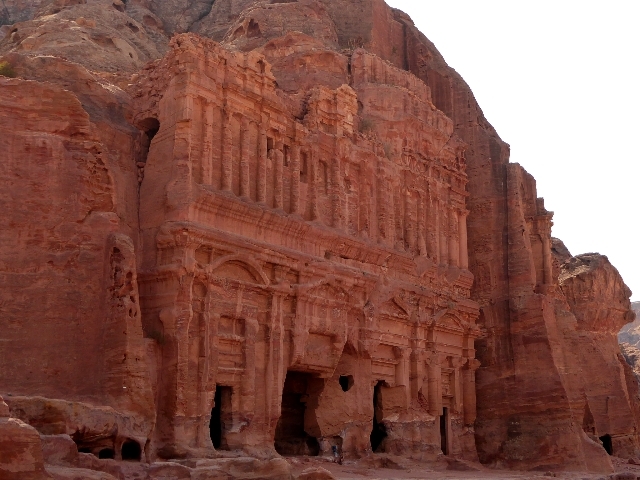 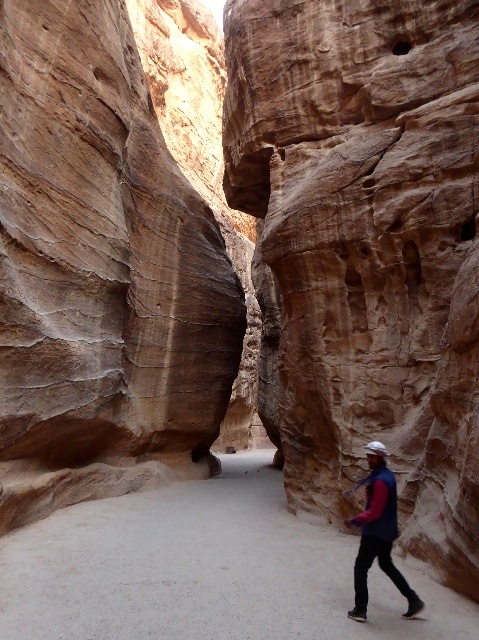 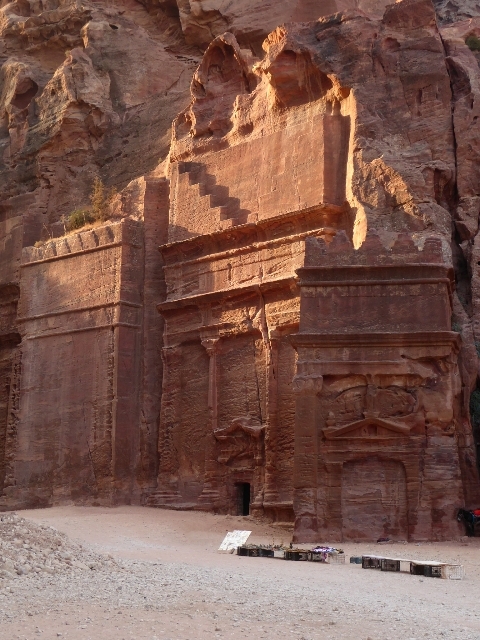 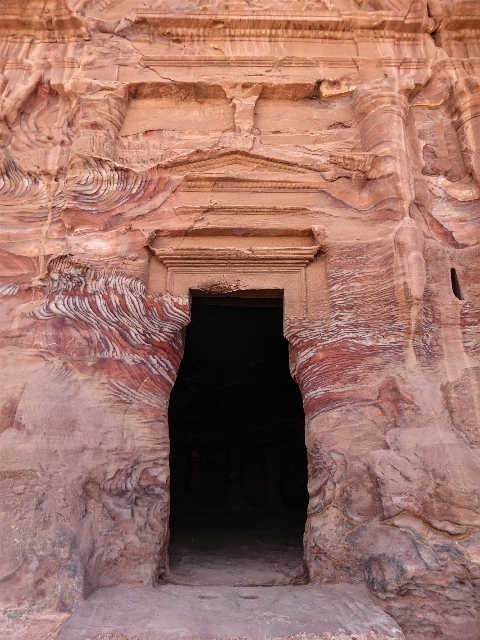 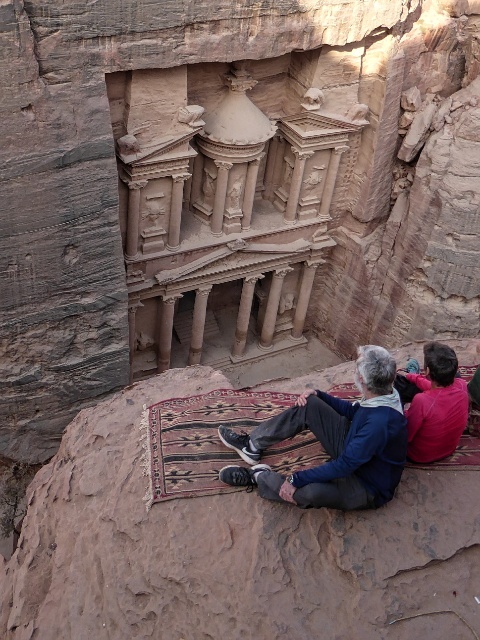 In 1812 a Swiss explorer, Johannes Burckhardt “rediscovered” Petra and it has attracted visitors ever since. 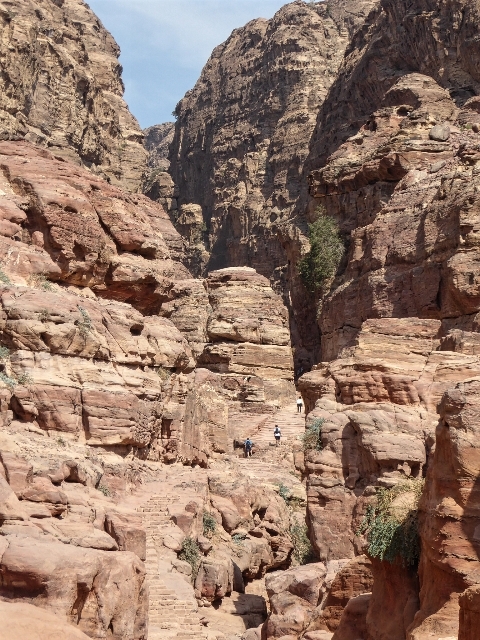 With over 800 registered sites and 45 km of paths, Petra is HUGE! 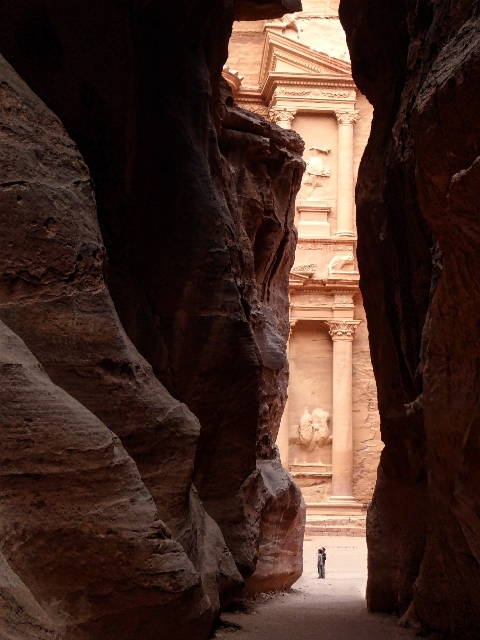 We had three days, spent a few hours each day on specific sections to avoid “monument overload” and only had just a glimpse. 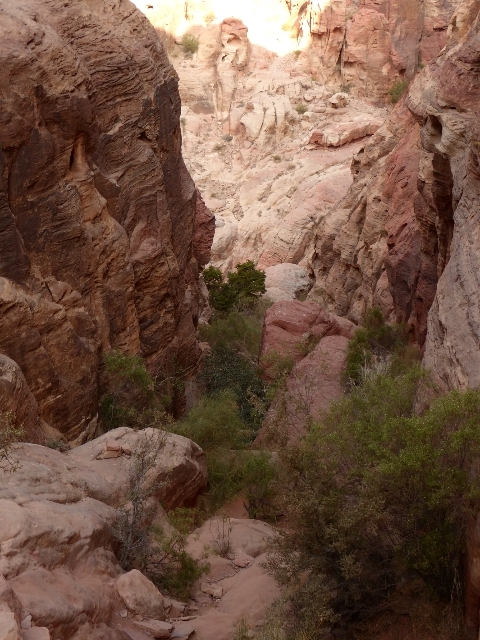 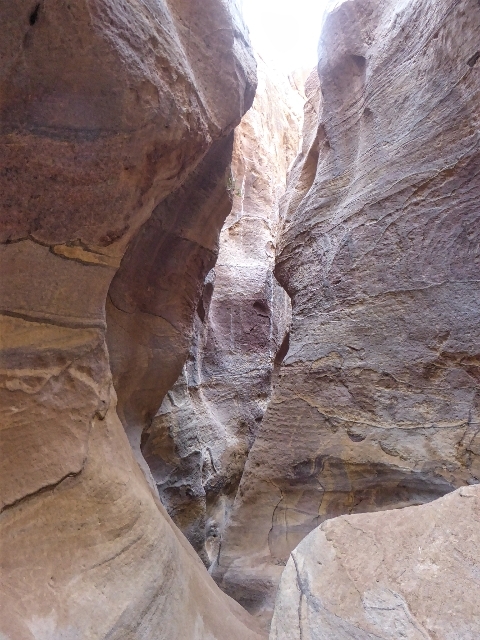 We stopped at Little Petra (click here) on the hike from Dana, a great introduction. 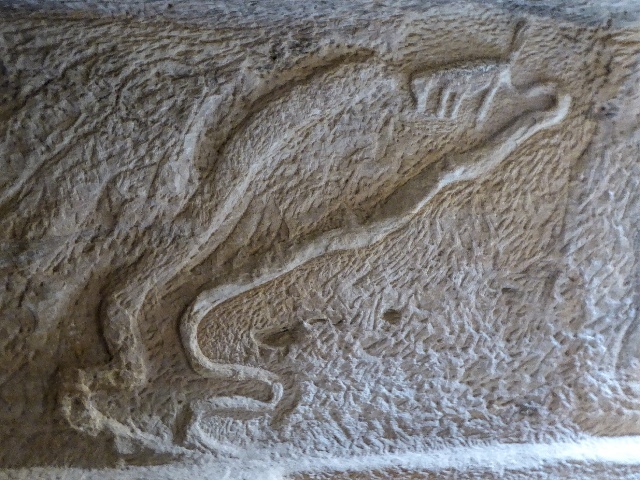 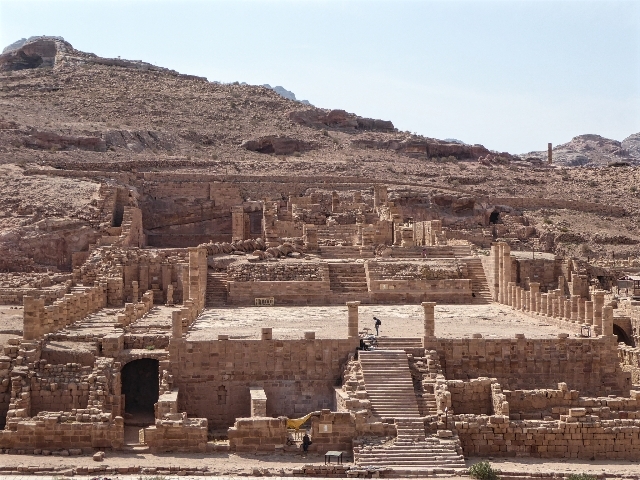 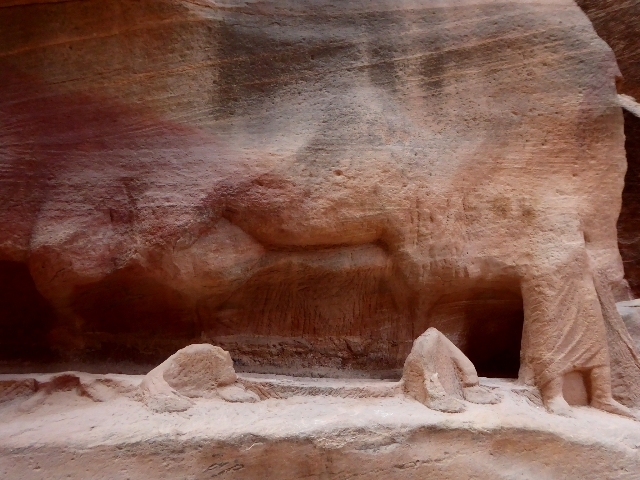 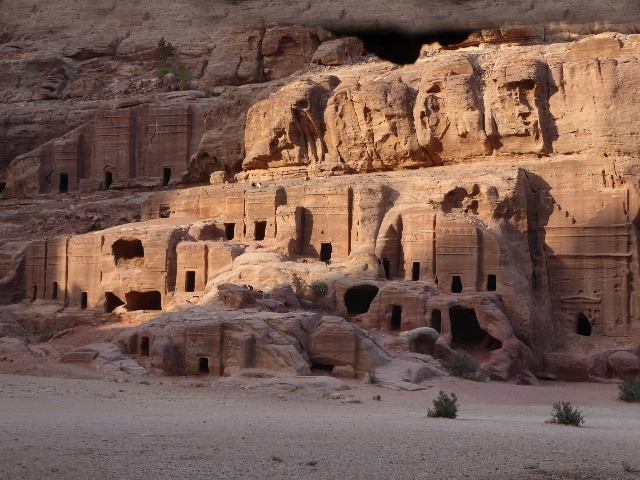 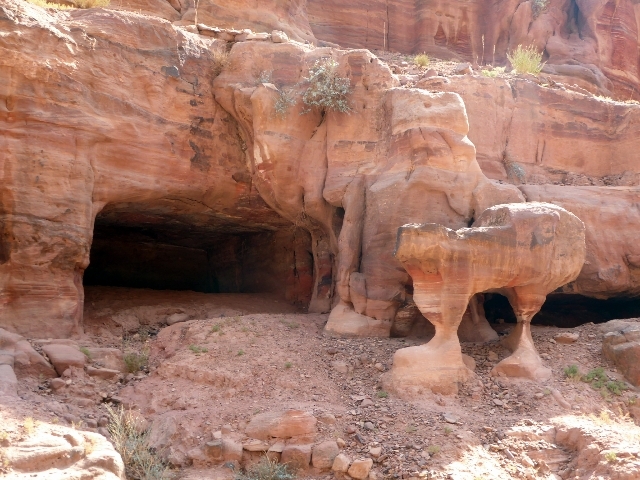 It was probably a “suburb” of Petra, housing traders along the Silk Road. 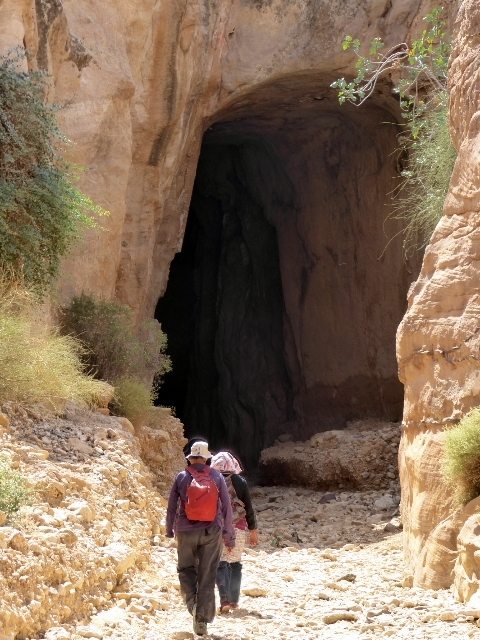 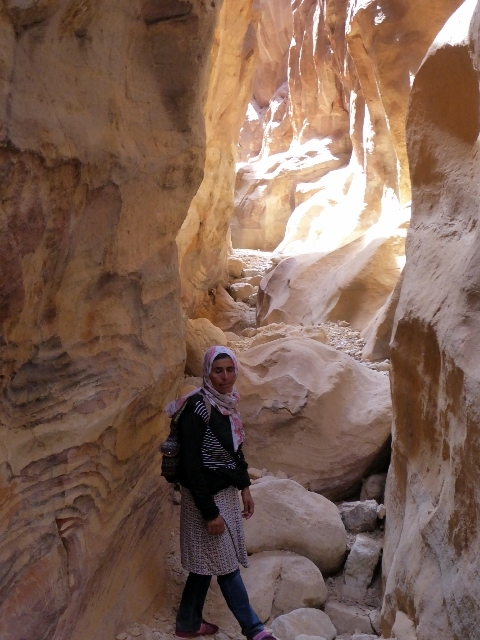 Next day Fatima led us around the ancient city of Petra from the Monastery via a long narrow gorge to emerge through the Tunnel near the main entrance. 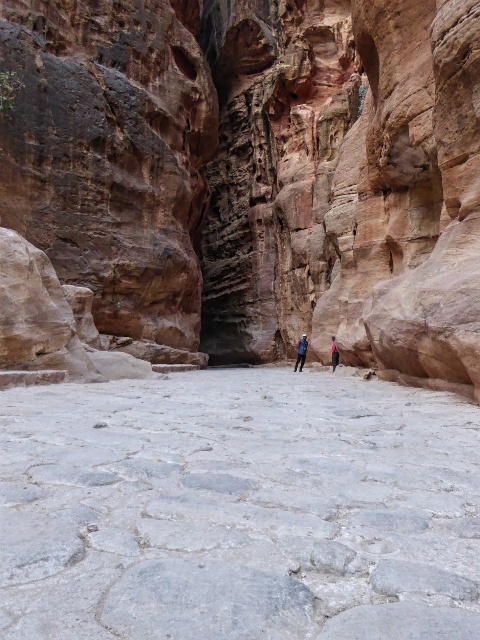 A 6.30 start on the final day allowed us a relatively calm tour of the Siq (narrow gorge leading into Petra), the iconic “Treasury” and beyond. 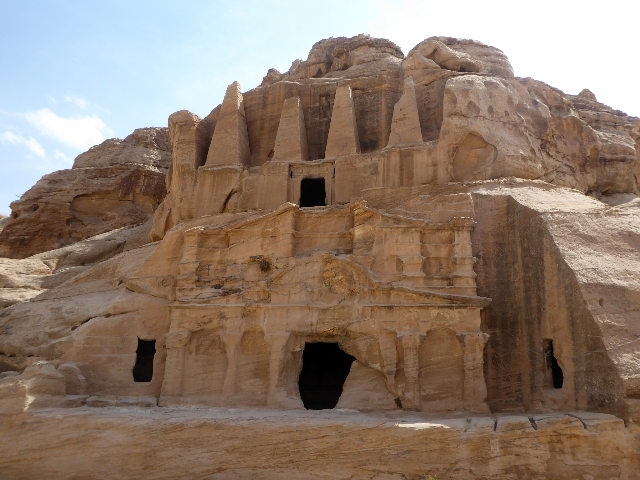 Our guide, Moath brought the city to life for us and we really enjoyed his passion for the Nabataean’s history.